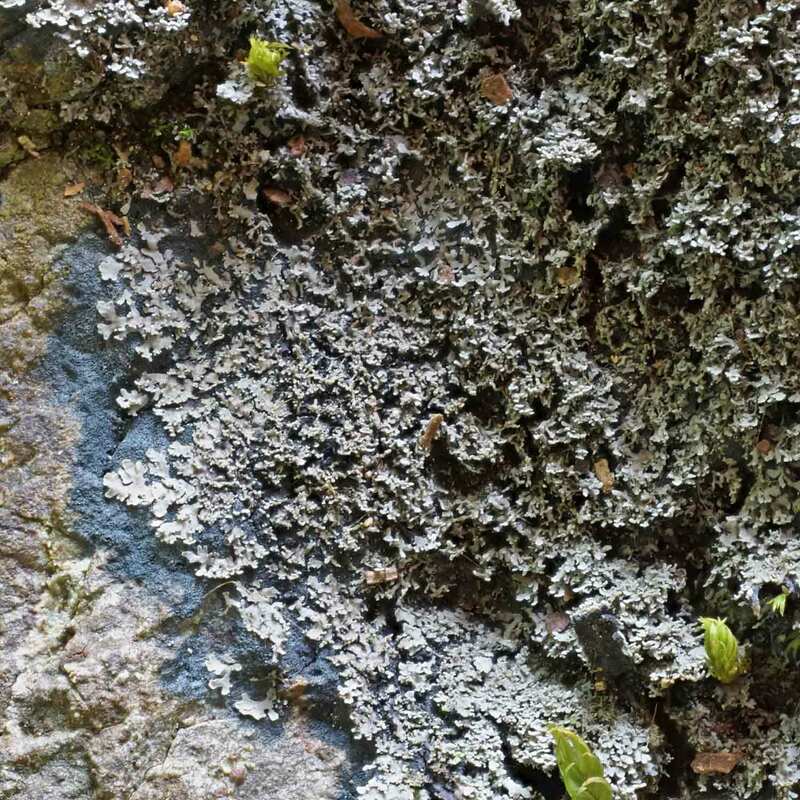 Thallus of minute, indented, rounded or elongate, flat to concave squamules, to 1 mm wide, scattered or contiguous, sometimes overlapping. Hypothallus extending beyond the thallus lobes, conspicuous, wide, smooth, black, giving the thallus at a distance an overall dark appearance. 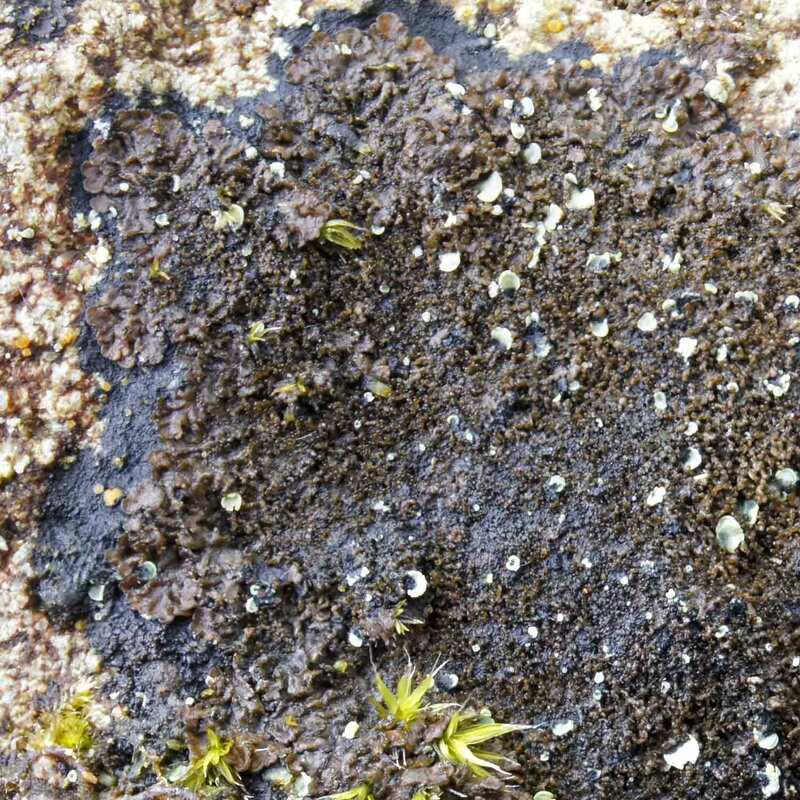 Upper surface of squamules grey-brown, ± shiny, with terete, finger-like, branched, erect or decumbent isidia along the margins, often interspersed with more flattened lobules, sometimes forming a continuous isidiate crust and often completely obscuring the underlying squamules. 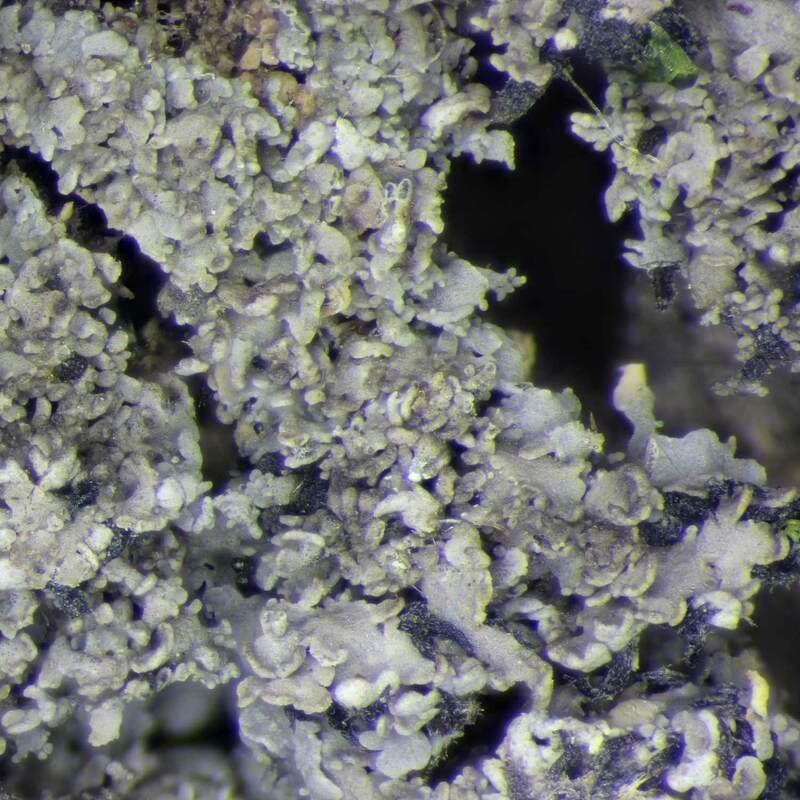 Teleomorph: ascomata apothecia, to 1 mm diam., infrequent. Disc red-brown to black, true exciple pale. Ascospores 10-17 × 5-8 μm, ellipsoidal, hyaline, the outer spore wall smooth and inner wall uneven, without a perispore or gelatinous sheath.